The Steering Committee would like to welcome Judy Rowe to the Steering Committee. 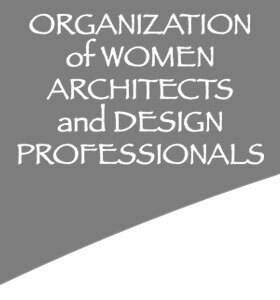 Mignon O’Young, long time OWA member, recently launched the online publication Green Architecture and Building Report (www.gabreport.com). It is a resource for sharing and exchanging information on responsible, green, and sustainable design, ranging from the architecture to the building details and from the site features to the products. Topics include commercial and residential projects, building materials, carbon neutral (net zero), GreenPoint, LEED, interior design, landscape architecture, and urban planning. The Green Architecture and Building Report would like to feature green projects by OWA members. If you are interested in having your project featured, please submit a summary paragraph of the project, three or more photos, a list of green features, and a list of project team members and their web-site addresses that you wish to have accredited. We can also develop in-depth articles featuring project details, lessons learned, and practical experience and techniques. Other ways to share your green knowledge include writing articles on your subject-matter-expertise, sending suggestions or tips on green and sustainable projects, or posting your feedback in comments on existing articles. Mignon O’Young can be reached directly at gabreport@gmail.com. This year we are planning a somewhat unusual format, expanding the customary Friday night show-and-tell, getting-to-know-you program into the whole weekend. It will be a celebration of US – and aren’t we terrific! If you are so inclined, you will have up to 15 minutes to expand on the subject that you couldn’t fit into the 2 minutes you were allotted Friday night. If you don’t want to, you don’t have to. We are a loose group, after all. The subject could be anything you are particularly passionate about – work, play, people, materials. For example, Janet is thinking of talking about two neighborhood initiatives in North Beach: the homeless program and an organization whose goal is to provide a network and resources for seniors to help them stay in their homes, "age in place" (and generally solve problems that arise during later life). You could discuss, with or without pictures, a project that turned out especially well, or ask for help on one that is giving you grief. Or you could sing, play the flute, exhibit your sculpture – or not. If you know of anyone else in your area of interest, consider teaming up. As we get indications of interest, we will inform you and you can follow through. Please let us know what your intentions are and we will work on the scheduling. More information is on the OWA Retreat Page. 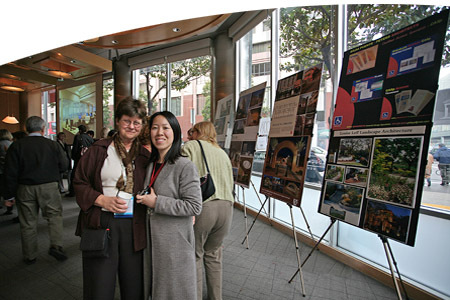 On April 30, 2009, the OWA held a reception for its members and attendees of the AIA National Convention. The function was held at the Educated Palate Restaurant on the downtown campus of City College. The reception was also an exhibit of OWA members work; the first of its kind ever held by the OWA. The exhibit consisted of 25 display boards and a PowerPoint presentation. The reception was well attended. It brought in both members and many people from around the country and resulted in a huge success. The Steering Committee and the Reception Committee would like to thank all the volunteers who helped out with the reception, all the members who submitted their work, and the Educated Palate for the exceptional food and service they provided us and the Office and Staff of Barcelon and Jang. It was a memorable occasion. 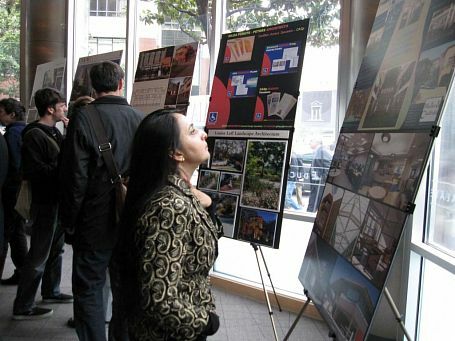 Some of the board presentations are shown on our OWA-AIA Reception Page. If you wish to have your board(s) included as part of the OWA site please contact the webmaster. Ann Jakiemiec met with several OWA members on April 21, 2009 to discuss and explain the OWA Health plan and the new changes that have taken place with the plan. The HSA 2500 plan has been replaced by the HSA3500 (this is the PPO). Everyone who is on the HSA 2500 has been automatically enrolled into the HAS 3500. According to Anne, letters have been mailed to each member who is enrolled in the OWA Health Plan to inform them of the changes. The HMO 30 plan still remains for those who are using it. Open enrollment is on May 1st of each year. If you have any questions or concerns about your plan, you can go to the website, www.northgatebenefits.com. The user name and password are: owa (all lower case letters). Or you can contact John & Ann Jakiemiec for details of the coverage.